I postponed writing this review for quite some time, being aware that reviewing component I own and use as a reference might not be very useful to the reader. I mean LM-211IA is the best amplifier I’ve ever had in my system and since I’ve never heard anything better, I have nothing other to say but to apologetically prize its virtues and express my positive feelings toward its performance. This I guess might be pretty boring to read and that’s why I was thinking to write this review once I stumble upon an amplifier that outperforms it, so that I could have a critical point. But it happened so that Srajan offered me to write this review as my first contribution to the 6moons magazine and I had no choice but to comply. You have to know dear reader that I am novice here and all the audiophile thing developed pretty rapidly in my case starting less than two years ago, so I am not the most experienced guy with bunch of amplifiers behind my back. Truth be told, comparing my former Creek Evolution 50A solid-state amplifier with the beast I am going to review now is like comparing a shot taken with my iPod Touch against one taken with the semi-professional Nikon DSLR camera I use – graininess, limited dynamic range and poor saturation against detail resolution, dynamic contrast and vivid tone colors. Or put it another way – it is like comparing a printed reproduction with a real oil on canvas painting. So I don’t want to enter into detailed comparison here where the differences are as substantial, and I can’t because I already sold the Creek year ago after the acquisition of LM-211IA. At the moment I have no other amplifier at disposal so I can’t tell how it compares against other amplifiers on the market. Furthermore I have only one pair of speakers and that’s why I can’t predict how it will behave with different reactive loads. So this review simply can not be examination of component being tested against several opponents, where virtues and deficiencies have been assessed in direct comparison. What I can do is to give you some general information and describe my impressions of this amplifier serving as a link between my digital source based upon SoTM sMS-200 network player feeding AMR DP777 digital processor and the Art of Sound’s back-loaded horn speakers BK108 fitted with Fostex FE 108-Sol full-range drivers. As an audiophile and beginner writer it is part of my daily routine to check out what other people have written, so I consume a great deal of audio gear reviews, opinions and reports and by doing so the name Line Magnetic Audio fell somehow naturally into my sight. I first stumbled upon some RMAF and Salon Son & Image (SSI) show reports from 2012 where it was mentioned that DeVore Fidelity presented its range of ape-named speakers partnered with Line Magnetic amplifiers and that the overall impressions of this combination were rather positive. Later on I discovered even more intriguing things happening here in Germany where I reside. 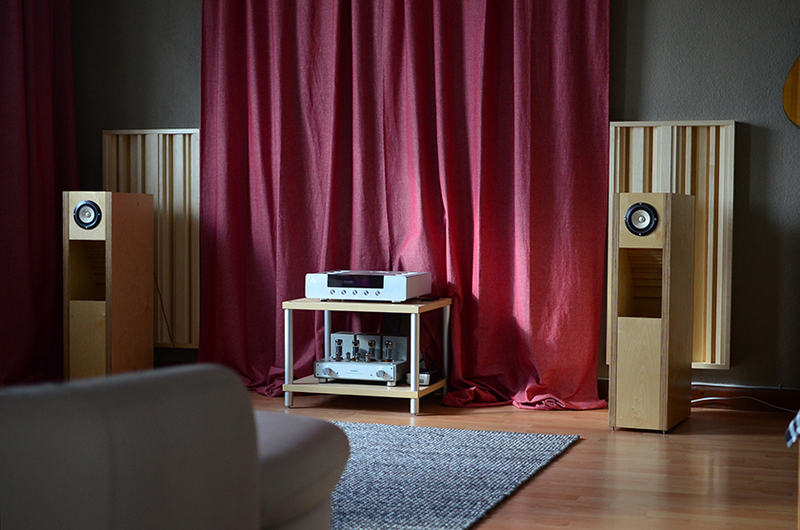 It was in 2012 Munich High End show when Keith Aschenbrenner from Auditorium 23 introduced his new line of speakers which have been designed with Line Magnetic drivers instead of the old PHY-HP ones. What followed was that Auditorium 23 “PHY” speaker line was disbanded in favor of the new Hommage line featuring Line Magnetic replicas of the famous Western Electric WE 755 8″ full-range driver. The replicas not only looked exactly the same but according to Aschenbrenner they performed in the same league being able to deliver the legendary Western Electric magic from the 40ies. It turned out that here in Germany Line Magnetic Audio was represented by two of the most credible people in the high end branch – Keith Aschenbrenner from Auditorium 23 distributing the speakers and Claus Jäckle from AcousticPlan offering the amplifiers and the rest of the electronics. It became obvious that the founders of Line Magnetic Audio – the brothers Zheng Cai and Zheng Xi – were not joking but taking things pretty seriously by spending great amounts on research and analysis of the materials used during the WE production era. As I’ve already said my former solid-state Creek Evolution 50A amplifier was a rather poor performer especially when paired with my single-driver crossover-less speakers, which are rather revealing. I was able to discern the graininess of the images, the poor dynamic contrast and the greyish monotony, which the lack of tone saturation was imposing. It was likely for a tube amplifier to partner better with full-range horn speakers and that’s how LM-211IA fell into consideration. 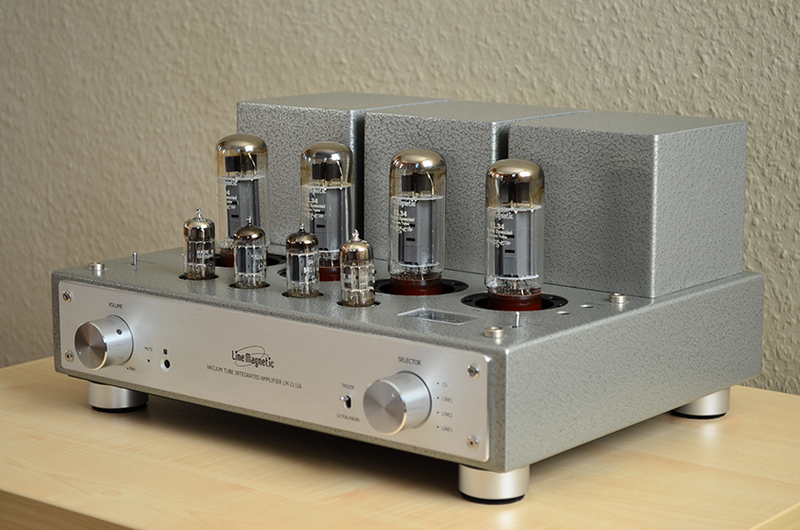 Though my attitudes were more into the direction of single-ended triode amplification, the most affordable SET back then – the model LM-218IA (2800 EUR), a lighter version of the widely renowned LM-518IA 845-tube SET amplifier – was beyond my reach. At the same time LM-211IA (1400 EUR) EL34-tube push-pull amplifier featuring switchable triode and ultra-linear mode of operation and point-to-point wiring was appealing strongly to me. I realized that in this price range one just can not dream for a hand-wired amplifier utilizing quality parts in a rather decent looking and solid body. 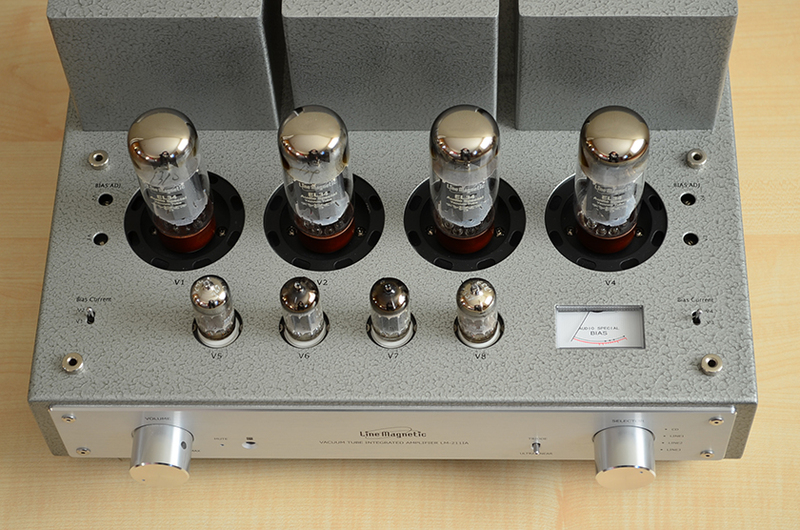 It is the most affordable of the classic range lineup followed by the model LM-216IA (1600 EUR) KT88-tube version with similar topology and characteristics but more power. 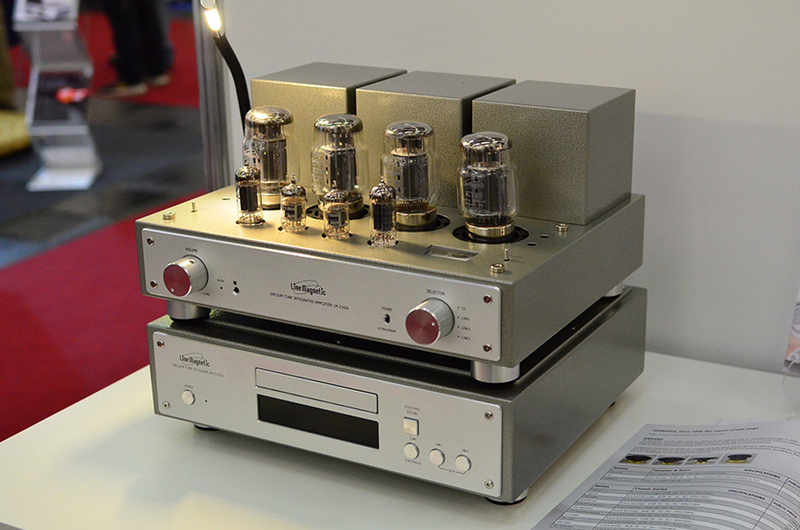 There is also a premium line of amplifiers consisting of exotics like the two chassis LM-845 Premium integrated, which comprise in one chassis the main amplifier with tubes, coupling driver transformers and power supply while in another the output transformers and speaker output parts – quite interesting concept by the way. LM-211IA is a three stage class AB push-pull integrated amplifier delivering 15 watts per channel in triode and 32 watts per channel in ultra-linear mode. Preamplifier stage consists of pair 12AX7 double triodes used for voltage amplification while the driver stage is realized with pair of 12AU7 double triodes for splitting the signal and driving the output tubes. Output stage consists of two pairs of EL34 pentodes in push-pull configuration for power amplification. Wide bandwidth EI output transformers are used for matching the high impedance of the output stage to the low impedance of the speaker taps. Power supply relies on a specially designed EI transformer combined with solid state, choke filtered rectification. Though the internal wiring is point-to-point handmade construction there are few PCBs for realization of more complex functionality like the triode/ultra-linear switch, which makes use of electrical relay switches for each channel, the soft start and time-delay circuit and the ALPS volume control servo automation. The amplifier has a classic layout with tubes in front and shielded transformers in the back and facilitate short electrical paths for reducing emission of hum and noise into the chassis. Nichicon and Realcap capacitors have been used. LM-211IA comes with remote control for volume adjustment and mute function. On the front aluminum plate are located two knobs for volume and source selection as well as switch for choosing between triode and ultra-linear mode of operation. There is also a status indicator light with two states – blinking and constant light. Blinking light indicates either mute state or time-delay function in progress, which is executed every time the amplifier has been switched on, for protecting the tubes. 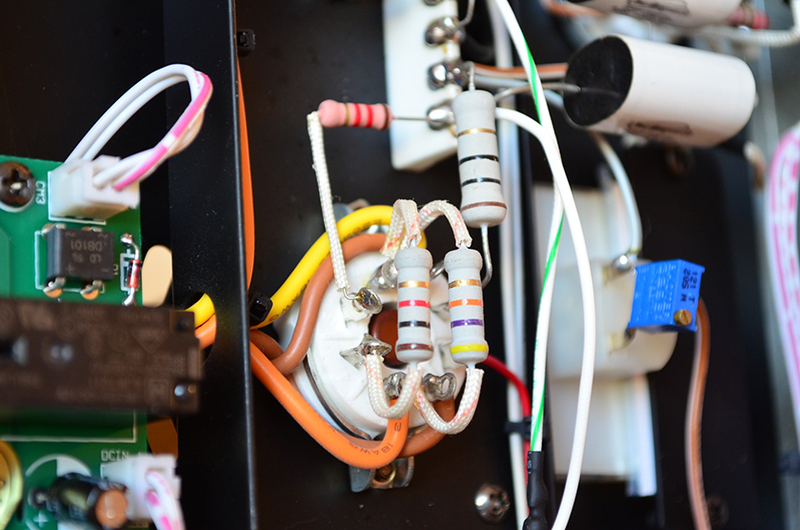 It takes around 30 seconds until the cathode of the output tubes reaches its optimal temperature and the amp is ready to go, which is indicated by constant light of the indicator. The sturdy power On/Off switch is located on the left side. 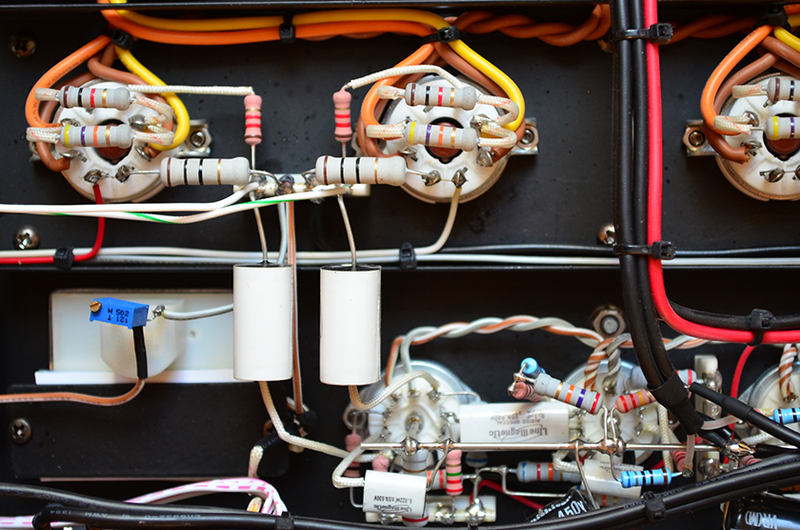 At the back there are four pairs of gold-plated RCA jacks, three quality speaker terminals per channel with designated 4 and 8 ohm taps and power socket with main fuse. On the top plate there is an ampere meter for displaying the bias current of the output tubes as well as pair of switches for choosing between the four tubes which bias current has to be measured. There are also two pairs of potentiometers for adjusting the bias of the corresponding tube by means of screwdriver. Within the limitations of its design – class AB with the necessary negative feedback circuit and solid state rectification – I would say this amp has surpassed my expectations. 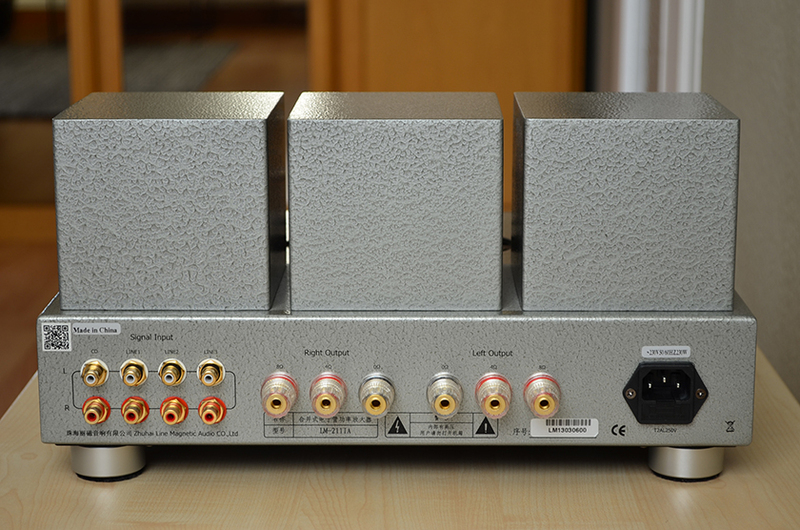 It delivers a great deal of midrange magic typical for DHT class A amplifiers and in the same time has no deficiencies in the frequency extremes. Bass is authoritative and controlled with a great sense of weight, heights are sparkling and sharp with very fine grain. Giving one of my favorite guitar/vocalist combinations Joe Pass and Ella Fitzgerald a go with their fourth and final release Easy Living I must admit I gave up trying to concentrate on analyzing reproduction traits, the performance is so overwhelming that I have surrendered to the sheer timbral richness of Pass’ D’Aquisto guitar and Ella’s emotionally matured voice. Listening to another beautiful dialogue, this time between the voice of Eleonora Bianchini and the double bass of Enzo Pietropaoli (In Sight), confirms my notion that dynamic agility and soundstaging are some of the main virtues of this amplifier. Depending on the speaker taps being used these qualities might slightly differ. When paired to the 8 ohm taps the Fostex FE 108-Sol speakers tend toward the lean, more analytical side, showing greater micro-detail retrieval and more compact images. Contrary the 4 ohm taps deliver more energy and larger soundstage, creating the impression that the amplifier has more power. Though the micro-details are not as sharp, there is a feeling of more inertia and longer decays which makes the presentation a bit more fluid and musical, but at the same time not as natural. Generally full-range speakers are not very good at transducing complex music, this is simply because a single driver has to follow the extremes of the entire frequency spectrum from top to bottom, which means a lot of cone excursions that might bring the driver to non-linear behavior and higher levels of distortion. Having this in mind I abstain from judging if the amplifier can keep pace with complex musical passages or not, simply because the bottleneck in this case might be the speakers. Personally this fact does not disturb me because my musical tastes are governed to big extend by the principle of simplicity, which I embrace in its entire omnipresent essence. I would always prefer sparsely arranged chamber pieces instead of big orchestral works just because few voices are easier to follow and they don’t create clutter. The moments of silence within the music and the natural decay of tones are something to enjoy in Stravinsky, Desyatnikov & Tchaikovsky album by the young but already world renowned musicians Aylen Pritchin (violin) and Lukas Geniusas (piano). While listening to the timbral diversity of some traditional medieval instruments of Sicilian, Arabic and Persian origin in Al Qantarah – Abballati, abballati! – Songs and Sounds in Medieval Sicily it became obvious how extremely clean and believable the transients are rendered, which tells me that the amplifier keeps the signal phase consistency intact. Tone colors are all there and voices sound stunningly real. Even though a good class A non-negative feedback amplifier could probably render even more nuances, LM-211IA keep a good pace in this regard. With some studio recordings though, it could sound a bit forward and hard on the ears thus causing certain degree of listening fatigue, which might be also due to the overall system voicing and the fact that Fostex FE 108-Sol speakers have slightly more pronounced midrange. Letting Toots Thielemans’ 1989 Footprints album to flow makes this finest harmonica work to shine. Dominated by the Mulgrew Miller’s jazz artistry on the piano the soundstage is very transparent with a lot of air around the instruments and well defined perception of distance in front to back direction. Conducting Anette Maiburg’s Classica Española the amplifier pushed my speakers into the level of performance that matched perfectly with my preferences for transparent, detailed and immediate presentation, combining weight in the low registers with sparkling and airy top extension in a very consistent and natural way. I should not forget to mention that I am using this amplifier in triode mode only, which in my opinion is way superior than the ultra-linear. In spite of the difference in power output, subjectively there is almost no difference in the perception of loudness level when switching between both modes of operation. This is probably due to the fact that in triode mode the level of transparency is higher, thus lower sound pressure levels excite similar impression of loudness. Already with its stock Chinese-made Shuguang tubes the LM-211IA performed extremely well, but I was aware that good new old stock (NOS) tubes could raise its performance even further. 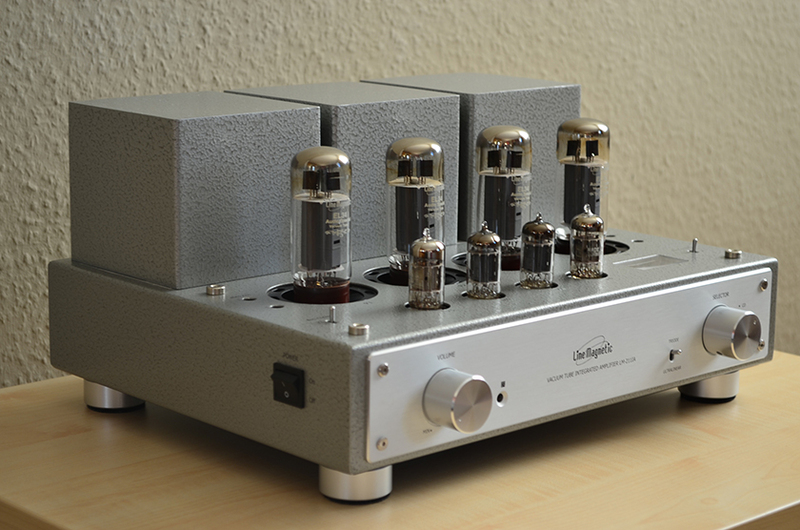 So I decided to start with substituting the ECC83/12AX7 and ECC82/12Au7 tubes in the preamplifier stage for it is known that they are likely to influence the sound more than the EL34/6CA7 tubes in the output stage. I was told that there are basically two main groups of NOS tubes that one have to consider. 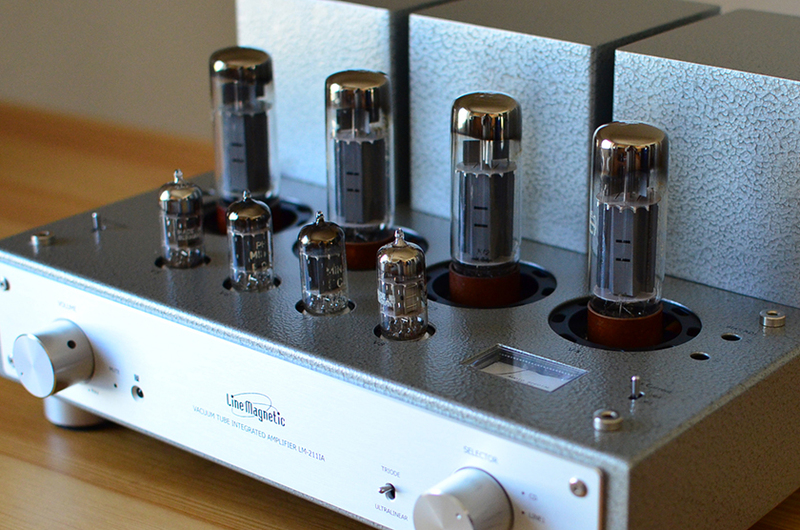 On the warm, vintage and organic side are Mullard and Phillips tubes. On the other side, associated with neutral, modern and detailed sound, are Telefunken and Siemens. It was hard for me to decide which one to choose so I reached out for advise to Ralph Wege who is known as one of the NOS tube experts here in Germany and his company Wege High Fidelity has gained high credibility over the years. He advised me to combine tubes from both groups in order to achieve balanced and natural sound that is neither too warm nor too analytic. Either should I pick warm sounding tube for the driver stage (ECC82) and neutral for the voltage amplification (ECC83) or the other way. It just happened that I stumbled upon a rare pair of NOS ECC83 Phillips Miniwatt long plate tubes from 1958 which I bought and this predetermined the choice of the driver tubes – NOS ECC82 Siemens silver plate I acquired shortly after. The substitution of the Chinese ECC82 tubes in the driver stage brought quite some noticeable improvement. The presentation became more articulate and detailed than before and the transients – these micro fragments of time in which a sound is born – gained resolution that lacked with the Chinese-made Shuguang tubes. With the ECC83 Miniwatts it was not as easy. Initially they sounded quite rough, even harsh and the presentation felt, I would say, retro. I was disturbed by the fact that after spending a small fortune on these tubes, they did not deliver what I expected. I contacted Mr. Wege again and he explained me that being NOS the Miniwatts need at least few days of work before they open up and reach their best. Following his advice I leaved them working for several hours a day and already on the third day the things have been improved a lot. 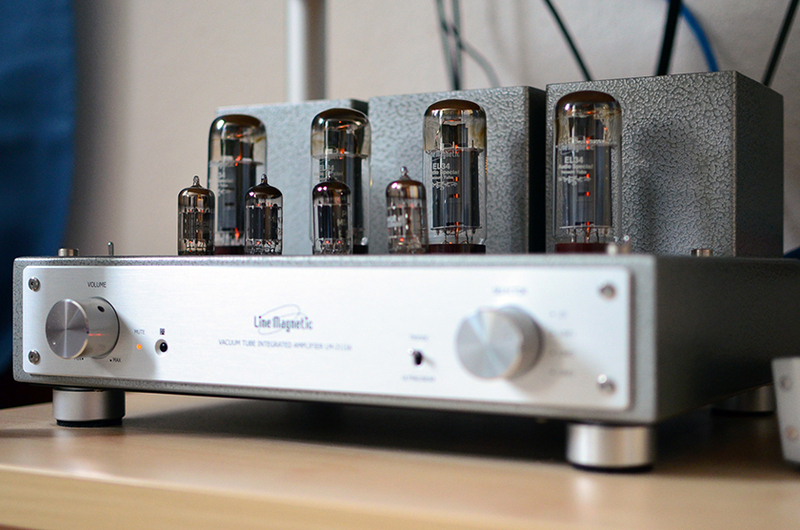 After having them for a week in the amplifier I had the impression that these are another tubes. This was an important lesson – one cannot judge the sound quality of a tube before giving it enough time to opens up. With the ECC83 Phillips Miniwatt in the preamplifier stage the sound became somehow fuller and bolder, the instruments and voices more present and the bass got richer and deeper than before. Despite all the positive sides, probably because of their more liquid and smoother presentation, I had the suspicion that they may lack a bit of a detail. After extensive listening, swapping tubes back and forth I realized that what I was taking as a detail was actually a sort of graininess of the textures which the Chinese tubes tend to expose, as opposed to the more organic texture rendering of the NOS tubes. As conclusion I would say that the substitution of the stock tubes with the aforementioned selection of NOS ones brought a subtle but noticeable improvement in the direction of more organic and realistic presentation.